As a consultant to the debt collection industry I spend lots of time looking at other peoples businesses and telling them what they are doing wrong. Its quite a balancing act to tell a successful business owner how they have screwed up. It has always reminded me of the old statement about a elephant in the room and no one notices it. The problems in most businesses look so obvious to me I am wondering why they can’t see it of even if they do see it why they don’t fix it. Well this is what drives my consulting business so I should be used to it now. So how do you see the elephant in your business? 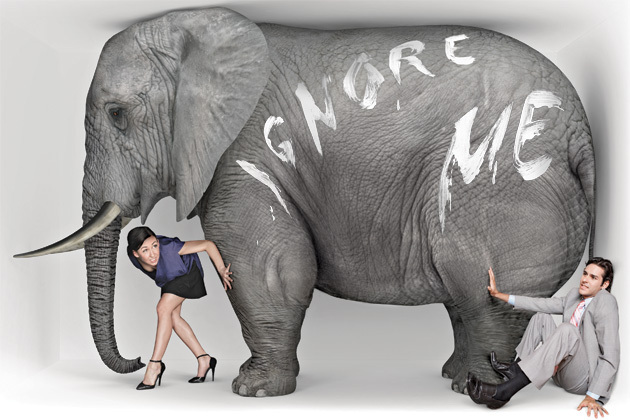 Try these 3 things to help you see the elephant in the room. The restaurant business consists of 2 primary factors that will gauge the success of the concept, food and labor cost. The rent and the cost of utilities stay fairly steady but labor and food costs will fluctuate with the seasons and with the volume of customers. If you want to be successful you always keep a eye on these two areas to be successful in the restaurant business. Debt collections has similar key factors as well. The first checkpoint is your cost per seat if your cost to do the business is high then all your unit yields have to be high and this is a hard thing to do these days with the low liquidity of most placements. If you want to explore how to calculate your cost per seat then give me a call. Next is your unit yields or the actual dollar value you collect per account placed. In other words if you got 100 accounts that equaled $10K in face value and you collected $1000 in total then your unit yield would be $1000 divide by 100 accounts or $10 unit yield. So just like your cost per seat if your unit yields are too low then its another sign you have a problem. A good unit yield is $13 but some companies that work very lean and have lots of volume can make money with $8 unit yields. If you want more info on your unit yields call me at 904-687-1687. And third KPI is the processes you are using. This is not a easy thing to measure like the cost per seat but it will highly effect your cost per seat and the unit yields. If you not using the best and most efficient process to collect the debt your wasting money and leaving money on the table both at the same time. My consulting services can help you get the most out of your business give me a call.